If you love Disney princesses–or jewelry–or especially both, you will love today’s post! And you get a bonus post that I’ll be sharing with you in just a minute. 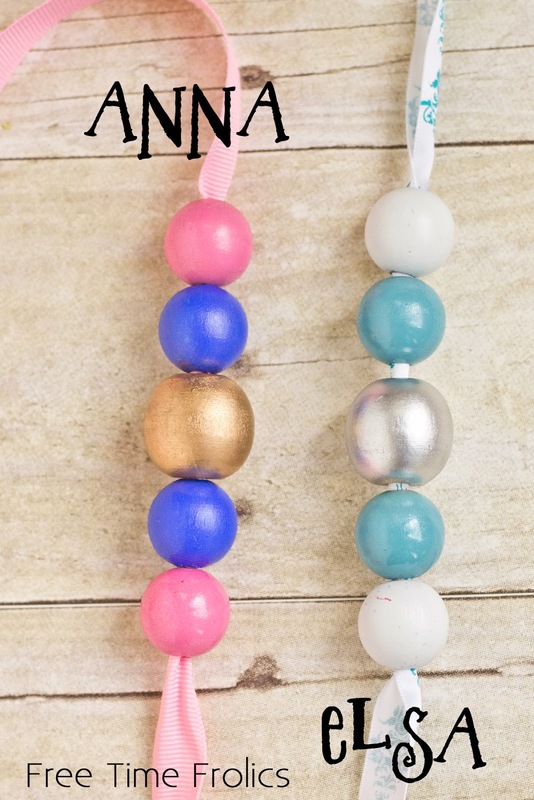 These princess necklace designs are inexpensive and easy to make. I had this idea a while ago to paint some wood beads to represent one of the princesses. As I worked on it, the idea grew. I looked up dozens of pictures online to best capture the different character’s color palettes and design features. As set of princess necklaces would be perfect for a trip to Disneyland, party favors, or the finishing touch to a princess costume. 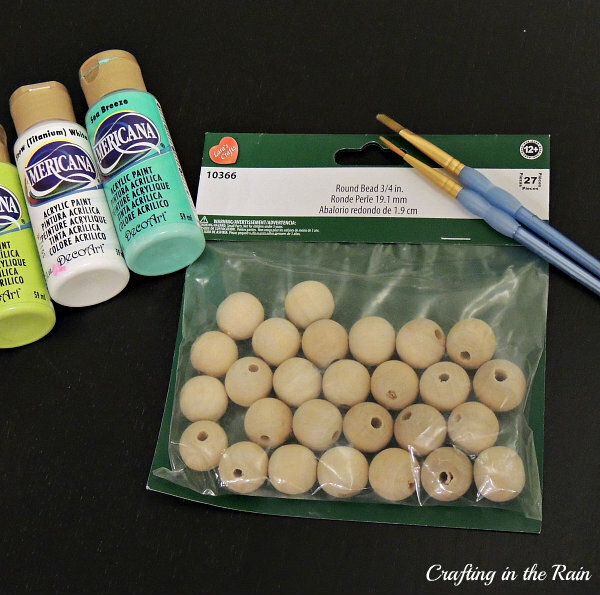 All you’ll need to create your own are some 3/4 inch wood beads, some 5/8 inch wide ribbon, paint brushes and skewers to hold the beads while you’re painting. Can you tell who I had in mind when I made each one? Make your guesses then check the answers below. To make one, hold wood beads onto a skewer and paint the desired color. Some of the lighter colors may need two coats. Measure desired ribbon length around neck and add 2 inches (if you don’t want to re-tie them every time, make sure you have it big enough to slip over the head) Using a match or candle, very carefully melt the ends of the ribbon so they don’t fray. When beads are dry, thread them onto the ribbon and tie ends in a knot. Bonus Post: So what if you’re saying to yourself, “Self, these are cute and all, but I think they could use a little something…more.” Well, click over to Undercover Tourist and you’ll see some more detailed versions for some of the princesses that will take a little extra time to make, but also look really cool. I’d love to hear–which princess or color combo is your favorite? Do you have a request for someone I forgot? Let me know! Do you have a trip to Disneyland coming up and you’d like a way to get discounted Disneyland tickets? I’m an affiliate with Get Away Today. Check their current Disney and Southern California vacation packages. And if your princess needs her own castle, find out how I made this cardboard castle for a birthday party a few years ago. Love these Stephanie! 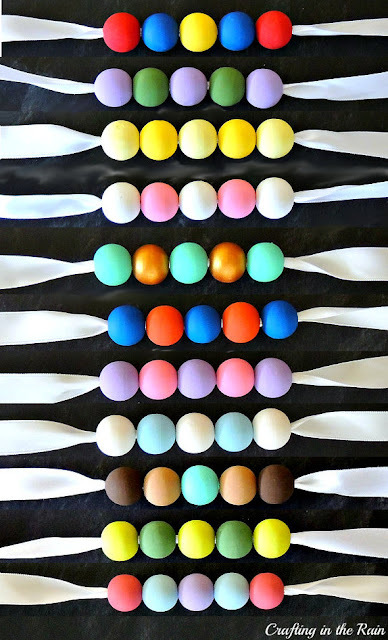 The colors are perfect and look so fun to make. I’m going to have to make the Snow White one.